If you have a pool or spa with a salt water chlorinator, Diamond Crystal® pool salts help you achieve whatever pool experience you want. 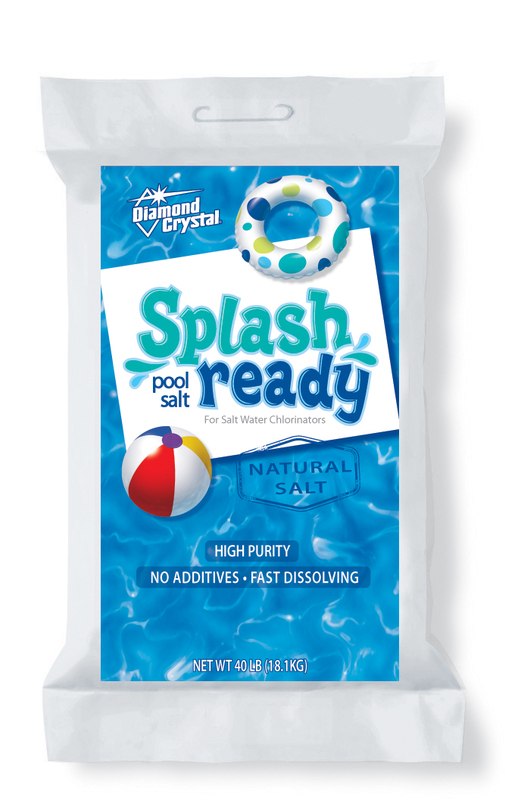 Whether your goal is fun & togetherness or pure relaxation, Diamond Crystal® Splash Ready™ Pool Salt dissolves quickly to either get you and your guests back in the pool faster for some fun, or back to relaxing while floating on your raft. High purity salt like Diamond Crystal® Splash Ready™ Pool Salt is recommended by manufacturers of salt water chlorinators for pools.